ProSil Fiberglass-Silica blended gasket tapes remain soft and workable at temperatures where fiberglass tapes become brittle. 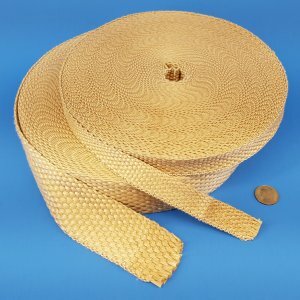 This is a superior gasket tape over traditional fiberglass based tapes for flange and door sealing applications. Will not burn and will withstand continuous exposure to temperatures of 1350°F / 732°C.